One of the last German silent films was People on Sunday, a modest project from a group of young men. Our stars are young professionals in real life and only amateur actors who did not quit their day jobs. They only could film on the weekends and that’s how we end up with People on Sunday! It takes on a faux documentary style, and it follows the lives of four individuals as they meet one another and then spend a pleasant Sunday afternoon together. There is certainly a breezy playfulness to the film as the two men and two women spend time frolicking at the beach and reclining in the sun. They share laughs while eating and listening to records. It quality fun and there seems to be a general innocence to their behavior that while sometimes rude is all in good fun. This is, in fact, a film of the late Weimar Republic, without the cloud of Hitler’s Nazi regime hanging over the country (not until 1933). It stands in sharp contrast to later works or documentaries because People on Sunday is seemingly free and wholly unrestrained by ideology or prejudice. We should undoubtedly be grateful for this historical piece of New Objectivity cinema and the reasons are twofold. First, since the film essentially works as a documentary, it gives us a wonderfully clear picture of what life was like in the world of Berlin. There are continuous shots of the city streets, passing vehicles, and people making their daily rounds. One especially memorable moment occurs when the story takes a short aside to afford time for a montage of faces. The camera slowly captures face after face providing a sample of all the individuals who walk these streets. They transcend time and space because of their humanity, their mundane quality, and they have the same lightness of our main characters. When we look at the names behind People on Sunday, it is almost staggering to acknowledge these men who were formerly unknowns. As directors, you have Robert and Curt Siodmak. Your main writer is the great Billy Wilder. 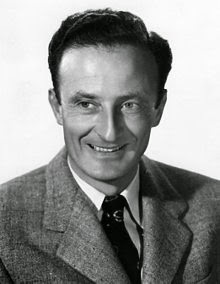 As cinematographer, you have another great in Fred Zinnemann, and finally, production was helped by the B-picture master Edgar Ulmer. Due to the rise of the Nazis, all of these figures would end up emigrating to Hollywood and the rest was history. In many ways, we are indebted to them, because they helped form some of the great American classics and you can already see them honing their craft. The images are visually arresting and there is even a sense of humor that we could seemingly attribute to Wilder. It would only get better from then on. If I’m not mistaken there are several scores that have been used to accompany the film, but I did really enjoy the Czech film orchestra because it added a lot to this otherwise silent picture. Hope you enjoy this unassuming jaunt as much as I did. 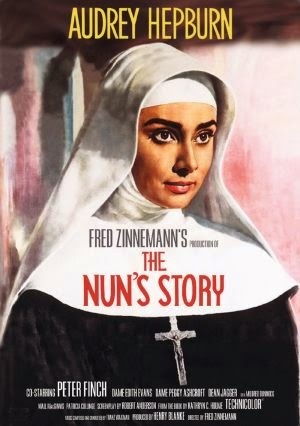 From director Fred Zinnemann and starring Audrey Hepburn, here comes a very unique film indeed. Hepburn is Gaby also known as Sister Luke, who makes it her life mission to become a Nun. She leaves behind her loving father (Dean Jagger), young love, and siblings to lead a life of solitude and sacrifice. She learns and is disciplined at the convent, finding out what it means to “die to self.” However, it is by no means easy, because as with any human being pride and other struggles impede her progress. Quickly she shows her skill as a nurse, and yet she is challenged to act with more humility. Sister Luke winds up not in her desired location of the Congo, but in Europe to continue to grow spiritually. Finally, she is rewarded for her patience and goes to the Congo only to fall into her element. There she is beloved by the natives and nuns alike, while also gaining the respect of the local practicing doctor (Peter Finch) who is not a believer. He however rightly concludes that Sister Luke is not your typical nun, because she has too much self-determination and individuality. As a good sister she tries to block out his words, but after she is sent back to the convent she must face this reality head on. World War II has erupted and the Sisters are called not to intercede on either side, but after personal tragedy Sister Luke realizes she must give up the life of the nun. After so much loving service to her fellow man while wearing the robes, she is forced to shed them on her own accord. It is a solemn moment as Gaby once again removes her ring of commitment and walks off into the unknown world plagued by war. It is an unsatisfying conclusion but a moving ending nonetheless. Zinnemann is often interested in the inner struggles of his protagonists and that is on display again in this film. Furthermore, his on location shooting in the Congo adds a sense of authenticity to the story. I am convinced that no actress other than Audrey Hepburn could possibly have done justice to this role, or at least no one else could have played it so wonderfully. She exudes such a sweetness and innocence it is difficult to see how anyone could every get annoyed with her. Her Sister Luke is seemingly spot on, and the lengthy film would have certainly faltered without her. 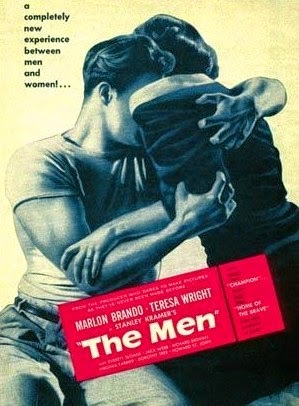 I was really drawn into this film and I appreciated Zinnemann’s realistic style in capturing Marlon Brando’s powerful screen debut. 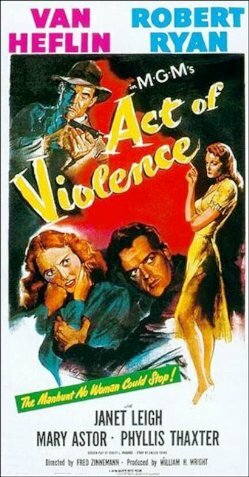 I would have rated this film higher because the topic was interesting, the performances were good, the supporting cast was respectable, and so on. The only thing is although Brando is a good actor and I really love Teresa Wright, they just seem wrong opposite each other. Wright was made for a Best Years of Our Lives and Brando for Streetcar or On the Waterfront. I will say I was surprised to see a young Richard Erdman, who is known to modern audiences as Leonard in Community. 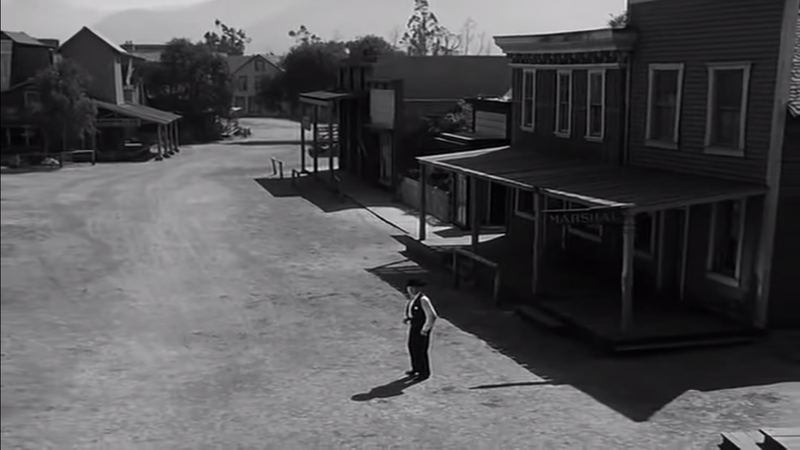 Directed by Fred Zinnemann, the film has an all star cast including Burt Lancaster, Monty Clift, Deborah Kerr, Donna Reed, and Frank Sinatra. Clift is a former boxer and bugler who has been transferred to a post in Hawaii. 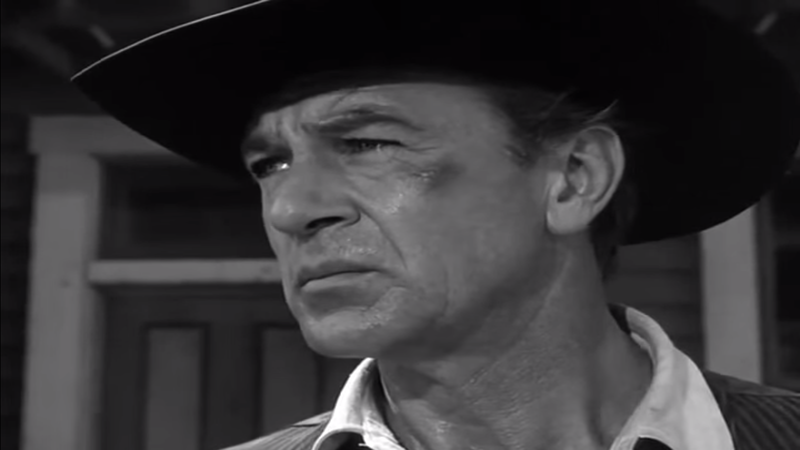 The commanding officer wants to have him fight for the company but Clift is adamant that he will not. From that point on life is made difficult for him on the base. However, he still finds time to go to a club with his friend Maggio (Sinatra) where he meets Lorean (Reed) and falls in love. 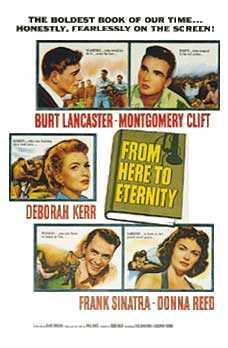 At the same time the intelligent company sergeant Lancaster, finds himself falling for the commander’s wife (Kerr) who has an unhappy marriage. However, he feels he cannot become an officer effectively terminating their relationship. The dramatic events culminate in the attack on Pearl Harbor which overshadows a smaller tragedy. This movie certainly had a cast full of famous people, but I have to say it was not my favorite film. All the same there definitely are some good moments.